I believe that every now and then, just to keep things in perspective, it’s important to look back to the way things used to be. A motorcycle dealer friend once told me that “it is hard to buy a bad motorcycle because they’re all pretty good now”. When I heard that, I paused for a few minutes to try to understand what he meant by that. Having never owned what would be considered now as a vintage motorcycle, I didn’t really get what he was saying. 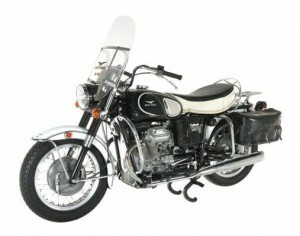 The Moto Guzzi California Eldorado was introduced to America at a time when Harley-Davidson quality and performance was just about at an all-time low. The relative success of the Eldorado was in part due to the quality and workmanship of the motorcycle, and the heavy-duty durability it had. The durability was proven by several law enforcement agencies use in the US back in the early to mid 1970’s. I stumbled across an old Guzzi V 850 Eldorado rider’s manual while I was doing some research, and some of the maintenance portion got my attention. It also reminded me just how advanced motorcycle have become. Not just Guzzis, but pretty much all motorcycles. I started to get what my dealer friend was actually saying. It sort of woke me up to how we motorcyclists take for granted the most basic of advancements in motorcycle design that just about exponentially improve our enjoyment of these machines. Straight from the Guzzi Eldorado rider’s manual are some select examples that seem almost wild now that modern motorcycles (and the required lubricants) have advanced so much. Most of this was within “shadetree mechanic” capabilities, but it certainly would mean a lot more dedication on the owner’s part than is often found by today’s riders. Every 600 miles: Lubricate cable ends. See -Lubrication of clutch, front brake and air cables. Remember the days before hydraulic brake and clutch actuation? Monthly: Check electrolyte level in battery monthly (every 15 days in summer). The modern maintenance-free sealed battery sure is nice, isn’t it? Every 1800 miles: The distributor cam felt pad should be lubricated with a few drops of oil and the contact points inspected to ensure every are clean. If dirty or greasy clean them with a petrol soaked cloth. Unless you ride an oldie, when’s the last time you lubricated a felt pad in a distributor? Every 6000 miles: Clean commutator of generator using a clean cloth slightly moistened in petrol. Had to clean your generator commutator lately? Every 6000 miles: Strip carburetor and check all parts. Use an air jet to clean out all ducts. Thank goodness for EFI. Every 6000 miles: The cylinder head should be removed decarbonizing. The combustion chamber and piston crowns are best cleaned with a blunt scraper and a wire brush and washed off with petrol. Check that the valve seats are properly sealed by pouring some petrol through the inlet and exhaust ducts and observing if any seeps through between seats and valves. If so, the valves should be dismantled and the seats ground in with emery paste. At the end of this operation the head and valves should be thoroughly cleaned with petrol and compressed air to remove all traces of the abrasive. I think I’d be a little more selective on my rides if I knew every 6000 miles I’d have to take scrape the carbon from the piston domes and cylinder heads. Last, but not least on 850 Eldorado list of chores is the “Cleaning of mufflers”: Internal cleaning is carried out by filling them with a solution of boiling water and caustic soda (20%) and leaving them to stay for about 1 hour. The mufflers are then emptied and rinsed out with boiling water while shaking vigorously. There’s nothing quite like shaking heavy steel objects full of leaking boiling water for a fun thing to do on a Saturday. Even after reading about all the old-fashioned maintenance tasks associated with most any motorcycle back then, I know I’d still love to own a Moto Guzzi Eldorado. Maintenance and all. Although some of that has probably decreased based upon modern lubricant additives. I’d probably be somewhat selective about miles on it though! Obviously, I’d keep my California Vintage for most riding and then ride the Eldo whenever the mood strikes. Dreams are free! Was that 500,000 miles? Are you saying that the only repair he had was one broken drive shaft?! I’m watching an Eldorado on eBay at the moment. I’d love that to be true..! !